Today we explore the art of the wedding film and how its evolved into a cinematic experience. 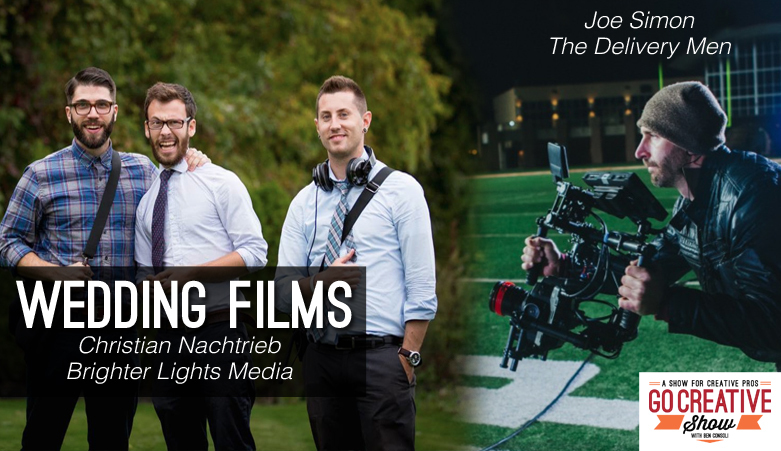 Christian Nachtrieb from Brighter Lights Media shares tips for finding and managing customers, what to charge, what cameras he uses, his upcoming 4K wedding and the dreaded Bride-Zilla! Plus Joe Simon from The Delivery Men shares his experience with the Panasonic GH4. Christian Nachtrieb is a wedding cinematographer with Brighter Lights Media, one of the countries premier wedding film company. Christian shares his experience in the evolving wedding film industry and offers his thoughts on how much to charge, his camera choices, 4K for weddings and the dreaded BRIDE-ZILLA.